3074a, CENTER CAP USED, 93-94, FORD RANGER, BOLT ON STYLE, SILVER PAINTED, 5 LUG NUT HOLES, 3 SCREW HOLES, 5-7/8" DIA. 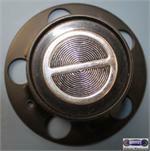 3074b, CENTER CAP USED, 95, FORD, RANGER, CHROME CAP, BLACK BACKGROUND, CHROME LOGO, 3 SCREW HOLES, BOLT ON STYLE, 5-7/8" DIA. 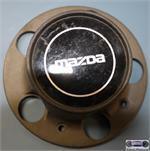 64834, CENTER CAP USED, 01-10, MAZDA, B-3000, B-4000, CHROME PLASTIC CAP, 5 LUG NUT HOLES, 3 SCREW HOLES, BLACK BACKGROUND, CHROME LOGO, 5-7/8" DIA. 64834, CENTER CAP USED, 01-10, MAZDA, B-3000, B-4000, CHROME PLASTIC CAP, 5 LUG NUT HOLES, 3 SCREW HOLES, BLACK BACKGROUND, CHROME LOGO, HELD ON BY SCREWS, 5-7/8" DIA. SCREWS MAY NOT BE INCLUDED. 8043, CENTER CAP COPY SET, CHROME PLASTIC CAP, BLACK CENTER, 5 LUG NUT HOLES, 3 SCREW HOLES, 3 SCREWS, NOT INCLUDED, 6-1/8" DIA. 8043, CENTER CAP COPY, CHROME PLASTIC CAP, BLACK CENTER, 5 LUG NUT HOLES, 3 SCREW HOLES, 3 SCREWS, NOT INCLUDED, 6-1/8" DIA. SET $80.00. 8043, CENTER CAP COPY, CHROME PLASTIC CAP, BLACK CENTER, 5 LUG NUT HOLES, 3 SCREW HOLES, 3 SCREWS, NOT INCLUDED, 6-1/8" DIA. 998c-2, REAR CENTER CAP COPY, 74-91, CHEVY, GMC, TRUCK, BLAZER, K, CHROME PLASTIC CAP, 4X4 LOGO, 6 LUG NUT HOLES, 3 SCREW HOLES, 7" DIA. 998c-2, REAR CENTER CAP COPY, 74-91, CHEVY, GMC, TRUCK, BLAZER, K, CHROME PLASTIC CAP, 4X4 LOGO, 6 LUG NUT HOLES, 3 SCREW HOLES, 7" DIA, FOR A 15" RIM, ALSO FITS 1097.